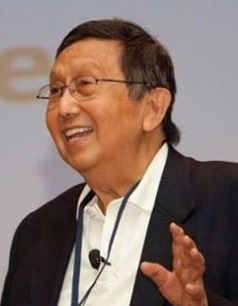 Paul T. P. Wong, Ph.D., C.Psych. is Professor Emeritus of Trent University and Adjunct Professor at Saybrook University. He is a Fellow of APA and CPA and President of the International Network on Personal Meaning (www.meaning.ca) and the Meaning-Centered Counselling Institute. Editor of the International Journal of Existential Psychology and Psychotherapy, he has also edited two influential volumes on The Human Quest for Meaning. A prolific writer, he is one of the most cited existential and positive psychologists. The originator of Meaning Therapy and International Meaning Conferences, he has been invited to give keynotes and meaning therapy workshops worldwide. He is the recent recipient of the Carl Rogers Award from the Society for Humanistic Psychology (Div. 32 of the APA) and a member of a research group on Virtue, Happiness, and the Meaning of Life, which is funded by a major research grant from the John Templeton Foundation. I can do best as a psychologist, who has gained good insight in what motivates us and how we can become fully functioning human beings. My best self is one whose "self" becomes invisible on one's passion for something much larger. The most important quality that got me so far is grit. My aspirations are (1) I can find a good publisher for my autobiography (on www.drpaulwong.com ) and my meaning book. (2) I have a large research fund to train others to carry on research on PP2.0 and (3) my meaning conference 2018 (www.meaning.ca/conference ) will be the best ever on its 20th anniversary. My concept of PP2.0 (second wave positive psychology) first articulate in Wong 2011 has finally found some traction around the world. My most difficult personal decision was to start the Chinese Gospel Church in 1962 with little support but lots of opposition. It had great impact on me and reinforced in me that belief that if I had the courage to do the right thing, God will make it grow; a related lesson is that suffering is an inevitable part of doing the right thing. My greatest happiness is to bring happiness to the suffering masses. My role models include Viktor Frankl, Nelson Mandela and Sister Teresa. My current passions include completing my autobiography and meaning book, and promoting meaning conference 2018.